Kevyn Aucoin’s range of professional tools embodies the vision and unparalleled make up wisdom he is celebrated for. Firm in his belief that make up should enhance – not detract – from one’s natural beauty, everything from his eponymous collection is designed to polish and perfect skin without artifice. Perfect for use for your favourite Neo-Bronze or Neo-Limelight palette, Kevyn Aucoin’s the Neo-Powder Brush has slanted, duo-fibre bristles to apply and diffuse powder products seamlessly. Designed to effortlessly ‘hug’ the contours of your face, this brush makes it easy to enhance your cheekbones – building the intensity with light layers to create a multi-dimensional, sculpted effect. It can also be used to apply powder all over skin for a subtle, post-holiday glow. It’s a must-have addition to your make up kit. Dip the angled edge of the brush into the product and apply to the skin for a controlled application, then use the 'belly' of the brush to blend. This brush does all the work for you. I bought the new Neo Limelight powder in Ibiza together with this brush. So glad I did because it makes application a dream. It picks up the right amount of product and the angled design of the brush ensure perfect placement as it hugs the natural curve of the upper cheekbones. It has a good solid weight and is very well made. 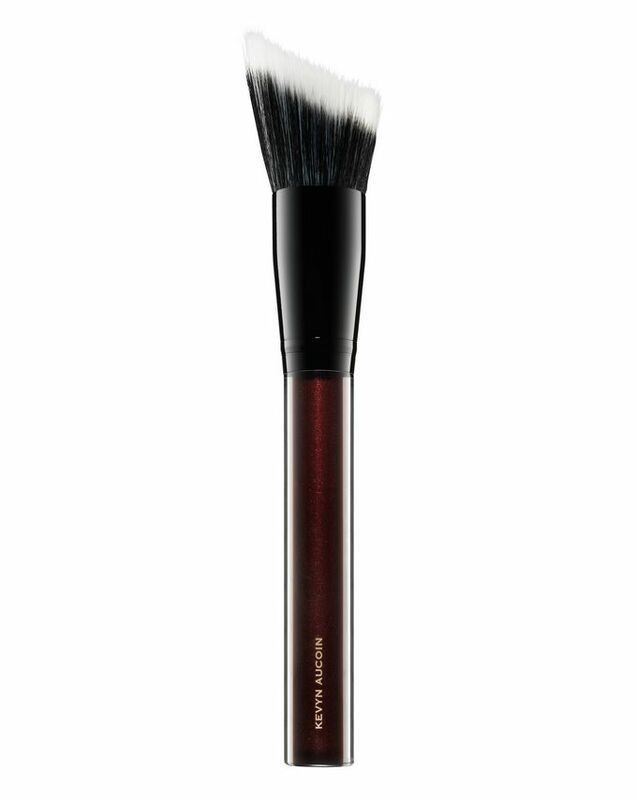 It's an investment brush but I think highlighting is here to stay for quite a while and it's also a versatile brush for applying blush/ bronzer to the cheekbones. It's my first Kevyn Aucoin brush purchase and I'm very impressed by the quality and functionality of the brush.